HandyTube provides tubing in alloys capable of withstanding corrosive, high-pressure and high-temperature environments. 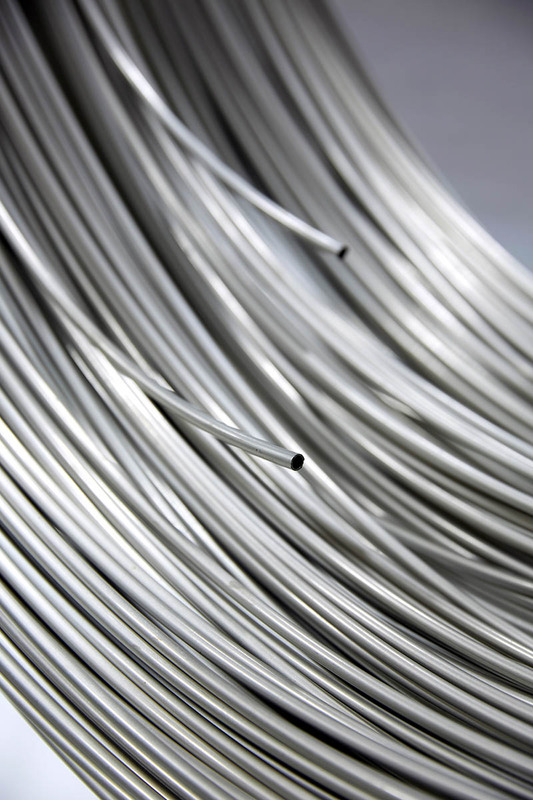 These alloys are ideal for geothermal applications or applications involving a heated liquid, such as solar dishes. Our precision material tubing is made to stringent specifications and designed for demanding environments, especially those requiring specific working pressures. We manufacture tubing specifically designed for safe transmission of highly flammable gases. Whether it is commercial warehouses where forklifts are fueled with hydrogen, or public or a private fleet filling stations for LNG (liquid natural gas) or CNG (compressed natural gas) HandyTube manufactures long length coiled stainless steel tubing up to 6,000 feet (2 km) for most demanding applications. Thin walled stainless steel tubes are the preferred choice in solar dishes and panels. The tubing is welded or brazed to a black metal plate that has high thermal-conductivity, which is then covered with a glass sheet. The assembly collects thermal energy at the tubing where it heats water inside the unit. Hydrogen fuel cell-powered forklifts are widely used in material handling operations. 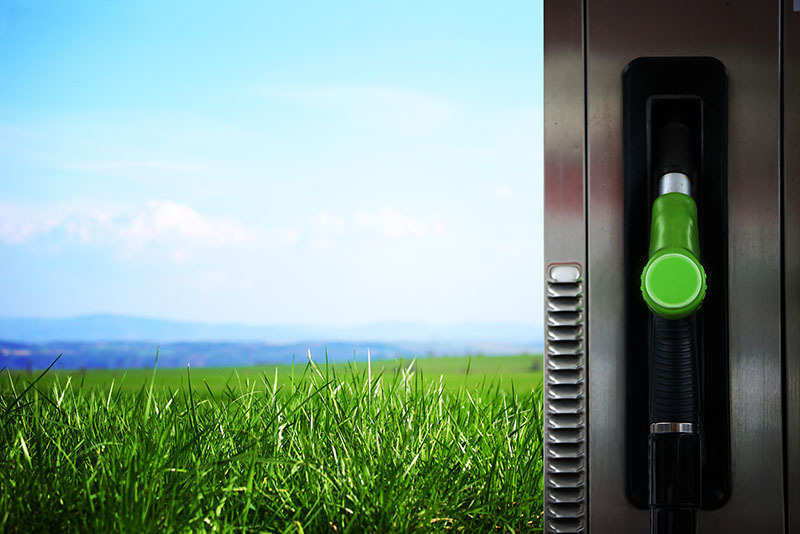 Unlike batteries, fuel cells can run uninterrupted for the duration of an eight-hour shift. Batteries have been known to die at least once per shift and can take up to thirty minutes to changeover. The fuel-cell powered equipment only needs to be refueled once at the end of each eight-hour shift and the process takes three minutes or less. 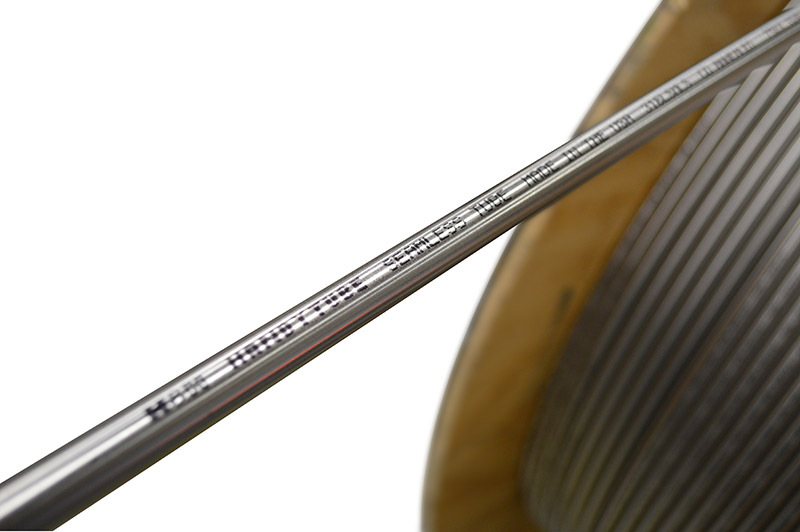 HandyTube provides long coiled stainless steel tubing to connect the hydrogen storage tanks to the dispenser. Seamless stainless steel coil tubing to transport hydrogen over long distances saves time and money by reducing the labor and minimizing fitting costs. Construction of CNG (compressed natural gas) fueling stations requires running long length stainless tube underground, sometimes hundreds of feet from a compressor to high-pressure storage vessels and then to the fueling dispenser (pump). This long length tube can be installed in hours, significantly reducing labor costs compared to the old method of welding short lengths of pipe which can take days. A typical LNG (liquefied natural gas) fueling station includes the storage of the LNG, the underground piping and a pump (dispenser). The fuel is dispensed as a liquid into vehicle storage tanks similar to conventional liquid fuels. HandyTube long length stainless steel coiled tubing is the safe choice when transferring liquid natural gas from the storage tank to the dispenser and can be installed in a fraction of the time compared with welding shorter lengths of pipe. Material selection for geothermal systems is very important. Stainless steel does decrease the probability of corrosion, yet more serious corrosion problems may occur such as intergranular corrosion. To solve this problem HandyTube provides Alloy 316Ti (1.4571) that offers high temperature strength and mechanical properties. Titanium reduces the risk of intergranular corrosion. As carbon preferentially forms, titanium carbo-nitrides prevent the formation of chromium carbides in the temperature range of 800 °F to 1,500 °F. Titanium alloys perform far better than other materials when used in air or oil-cooled heat exchangers.